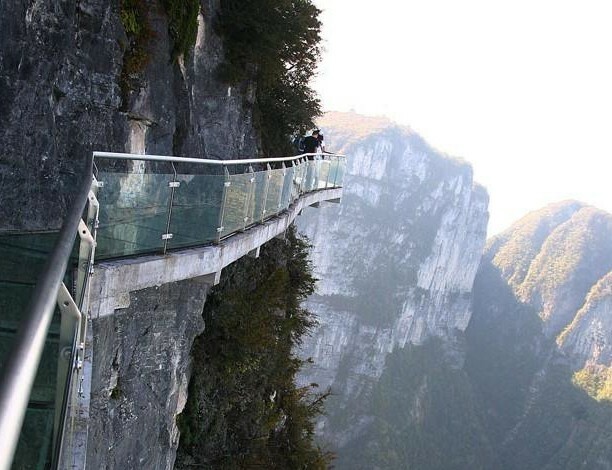 Out of crazy walkways, this has got to be one of the craziest. 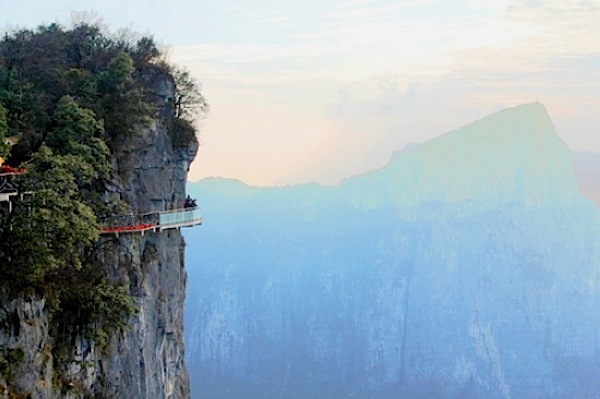 Near the top of the Tianmen Mountain, on a sheer rock face goes this 60m long walkway. The path attached to the vertical cliff is 3ft wide and right under your feet is a nice 1km drop. 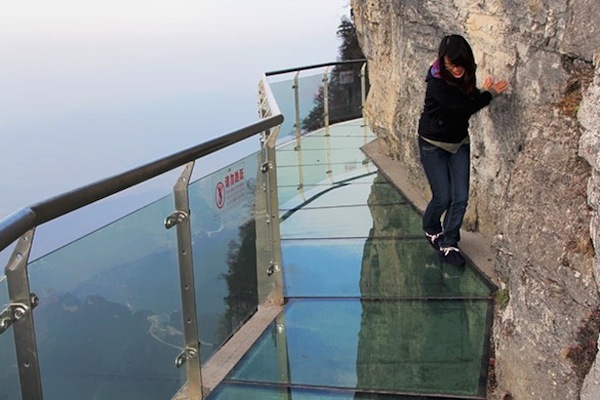 If this is not terrifying enough, the path is made of glass allowing a crystal-clear view of where you will plummet is something goes wrong. Looking at the visitors on the bridge, it seems that some of us forget how to walk normally when walking on the glass path. If you are brave enough to take the walk, you are rewarded with the gorgeous views over the canyon. Make sure the weather is clear when you visit, foggy day can take the edge off the thrill. Easiest way to reach to mountain is by cable car. The cableway is the longest in the world, over 7km and 30 mins one way. The cable car base station is close to Zhangjiajie bus station and railway station. Zhangjiajie city can be reached by train, bus or plane. Another option to get to the mountain is a bus that goes along the mountain road that the locals call “99 turns road”.